yone! We got season FOUR (beautiful, isn’t it?) of the mind shattering sci-fi drama, The 100! In an unprecedented move for a broadcast network, the CW announced Friday that it has given early renewals to every current series on its schedule. The series being ordered for the 2016-17 season are: “Crazy Ex-Girlfriend” (season 2), “Jane the Virgin” (season 3), “The Flash” (season 3), “iZombie” (season 3), “Arrow” (season 5), “Supernatural” (season 12), “DC’s “Legends of Tomorrow” (season 2), “The 100” (season 4), “The Vampire Diaries” (season 8), “The Originals” (season 4) and “Reign” (season 4). The CW handed out early renewals to 11 series, including The Flash, Arrow, DC’s Legends of Tomorrow, The Vampire Diaries, The Originals, Crazy Ex-Girlfriend, Jane the Virgin, iZombie, Reign, Supernatural, and The 100, EW has learned. In short, the network picked up everything that is currently on the air, though that doesn’t necessarily mean they’ll all debut in the fall. Some will hit the airwaves for midseason or even summer 2017. The renewal of Supernatural for a 12th season makes it the longest-running in CW (and WB) history. Previously, 7th Heaven held the honor, ending after 11 seasons. Those superhero shows he’s talking about rank as the top 3 for the network, with The Flash leading the way in both total viewers and the 18–49 demographic (5.67 million, 2.3), making it the most watched series in the history of The CW. Legends of Tomorrow and Arrow follow with 4.26 million, 1.7 and 3.99 million, 1.6, respectively. Legends and its Thursday night companion The 100 have also brought a 56 percent bump in total viewers and 30 percent bump in the demo on the night versus the fall, where The Vampire Diaries and The Originals had long called home. For their part, the Julie Plec vampire dramas have improved Friday night by 39 percent in total viewers and 60 percent in the demo versus the same time last year. Premiere dates and episode counts are expected to be announced at a later date. The series being ordered for the 2016-2017 season include JANE THE VIRGIN (Season 3), CRAZY EX-GIRLFRIEND (Season 2)THE FLASH (Season 3) iZOMBIE (Season 3), ARROW (Season 5), SUPERNATURAL (Season 12), DC’S LEGENDS OF TOMORROW (Season 2), THE 100 (Season 4), THE VAMPIRE DIARIES (Season 8), THE ORIGINALS (Season 4) and REIGN (Season 4). Specific premiere dates for each series will be announced at a later time. Woo! I am so proud of everyone involved! Not only that, I get to run Grounders Source for another season! 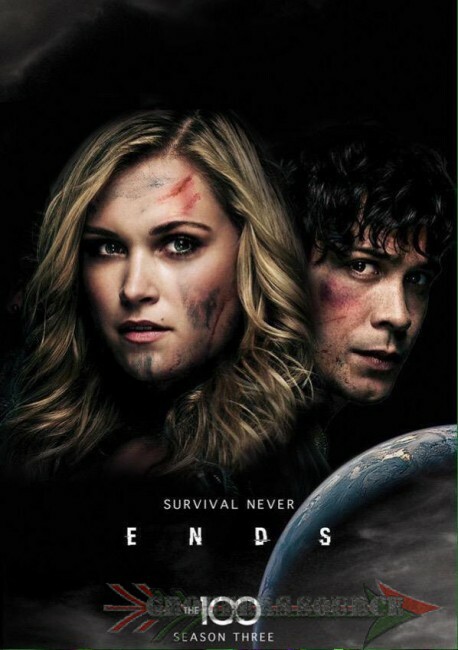 Follow Grounders Source on Twitter and like at Facebook.com/groundderssource.